These nostalgic dishcloths celebrate the sweet simplicity of a festive birthday cake made from scratch. 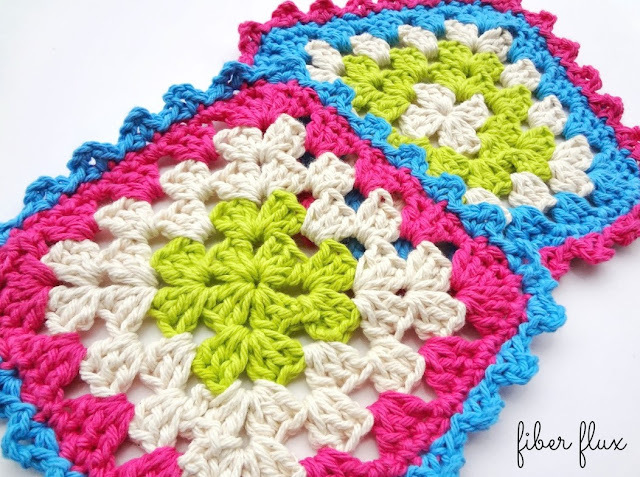 A simple and beautiful granny square is topped off with bright edging, much like icing florets. These make lovely gifts, but I made these just for me! Click below to watch the full project video too! Keep working in this manner, with two clusters in the corners and one cluster on the sides until you finish the round. Just be sure there is a ch 1 in between each grouping of 3 dc as you work each round. That is what gives you those pretty spaces in between each cluster and keeps it nice and flat. Repeat round 3 twice more, join with a slip stitch and fasten off. If you would like your dishcloth to be larger, simply work round 3 as many times as you need to achieve the desired size. Edging round 1: Work a single crochet into each stitch on every side stitch of the square, work 3 sc in each corner of the square. Join with a slip stitch and fasten off. Edging round 2: Tie on a new color in one of the corners and in the first stitch, work (sc, ch 3, sc) all in the same stitch. Skip the next stitch. In the next stitch, work a slip stitch. Continue in this sequence all the way around the square until you reach the end. Join with a slip stitch to close and fasten off. These are so fun! The border adds such a bit of flair! Yay! I like this one especially because it looks exactly like party cake icing. Yummmm. 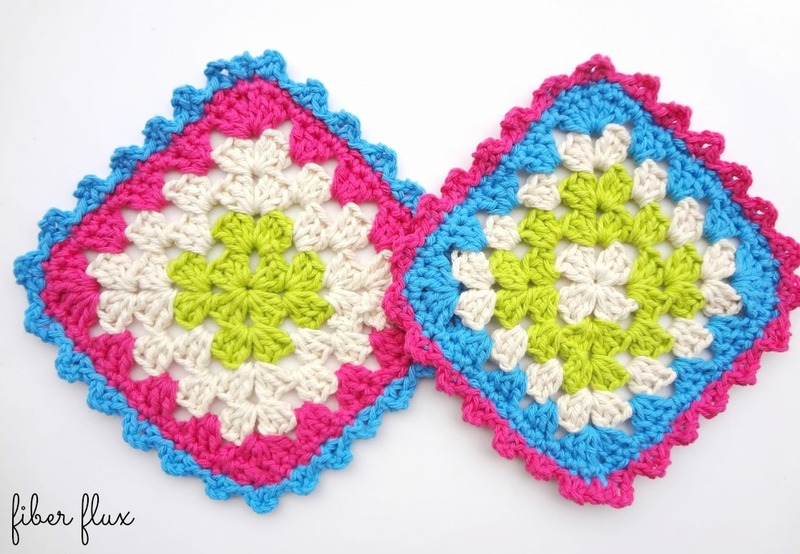 I am a fairly new to crocheting and was looking for an easy washcloth instructions to get me going. This is perfect. I love the bright colors and fun look. Thanks! I left a post on YouTube as well. Thank you. I have struggled with crochet for years, and I so love my dishcloth! Wish I could post the pic! You made my day!